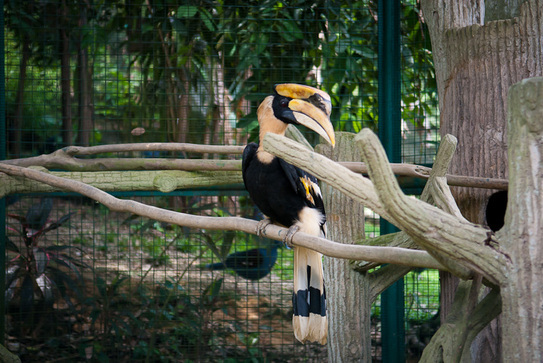 A hornbill perched in an enclosure at the park. The hornbill, named after the beautiful horn ontop its beak, is the state bird of Sarawak. A world renowned dive site that is must go destination for all dive fans!